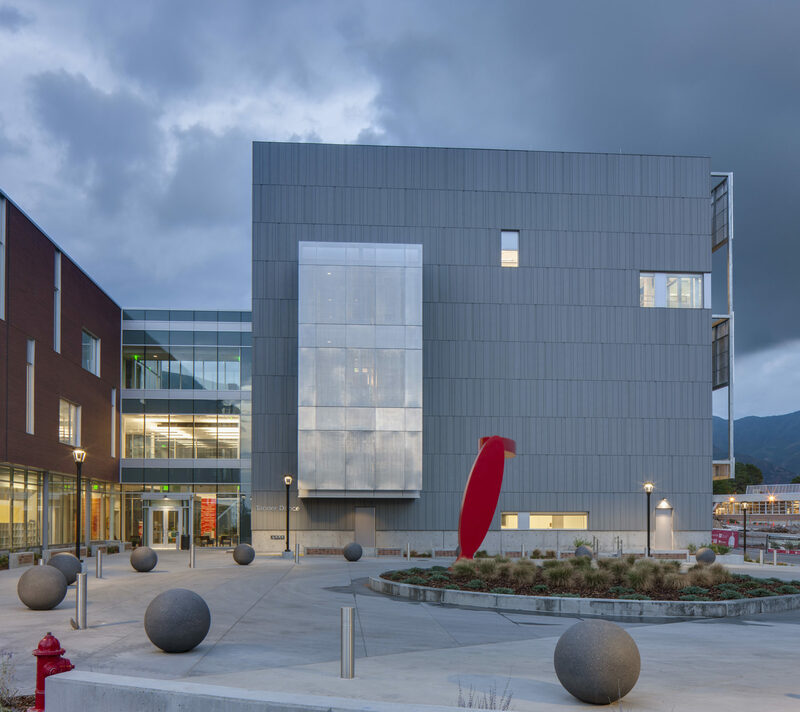 The Beverley Taylor Sorenson Arts and Education Complex (BTSAEC) is 115,000 square foot teaching facility that houses the University of Utah’s College of Education (COE), College of Fine Arts (CFA), and the renowned Tanner Dance program. 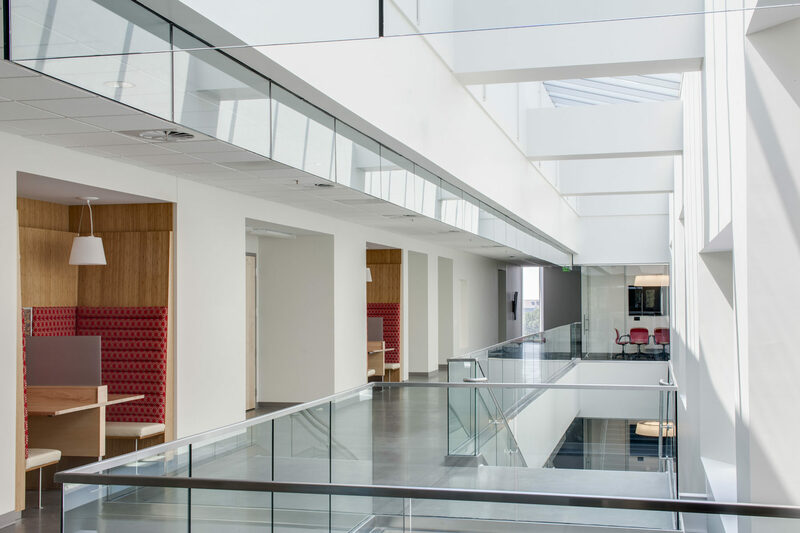 The building creates a dynamic environment for cross-disciplinary collaboration. The building comprises a new collaborative research area and faculty and administrative offices for the College of Education. 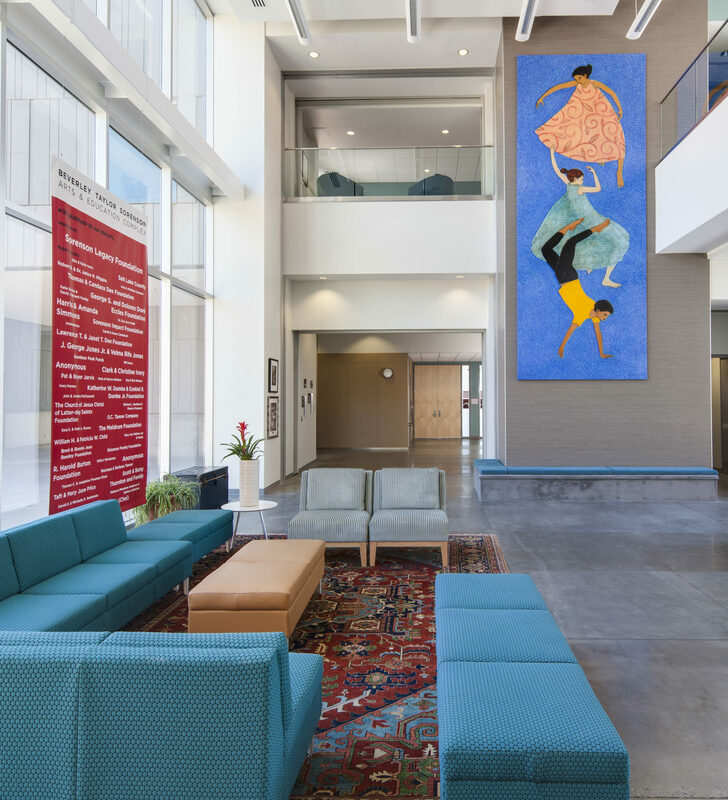 For Tanner Dance, the facility accommodates four rehearsal studios, a large rehearsal/performance space, two visual arts studios, administrative offices, and a costume design and fabrication shop. The BTSAEC also houses a variety of technology-supported classroom spaces, including a large, multipurpose lecture space, four large classrooms, and two small classrooms. 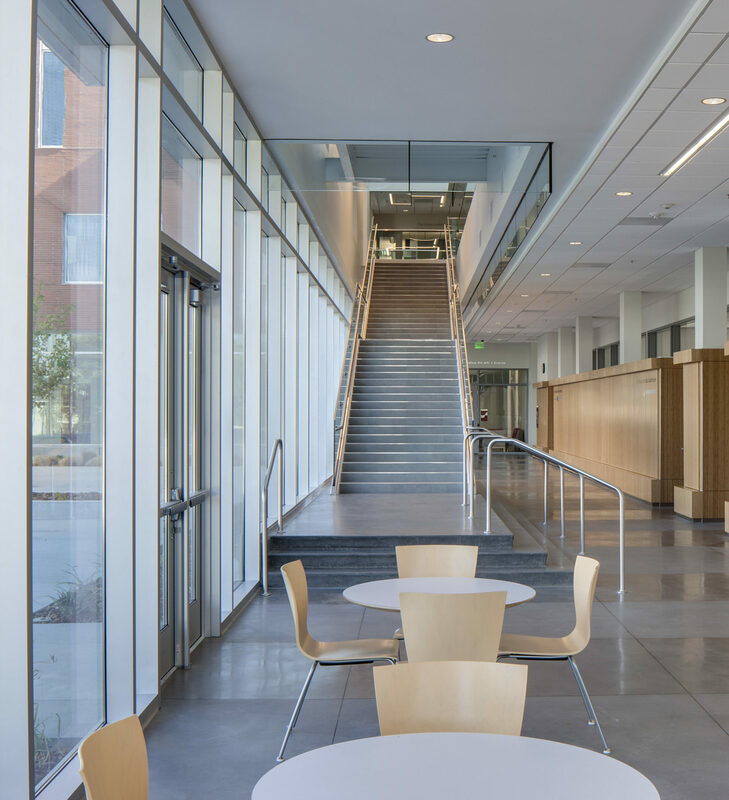 A single circulation spine connects the building’s entrances and public gathering areas, creating an internal street that supports meeting, socializing, dining, and studying. Transparent to both indoor and outdoor activities, the street’s walls help to create a vibrant culture of shared community.